Stache is new and fabulous. It’s where the Taste Makers of Palm Beach, Miami and Ft. Lauderdale choose to play. Stache will infuse you with the intimate energy of a 1920’s Speakeasy. The scene is mysterious and relaxed, yet curious and upbeat. 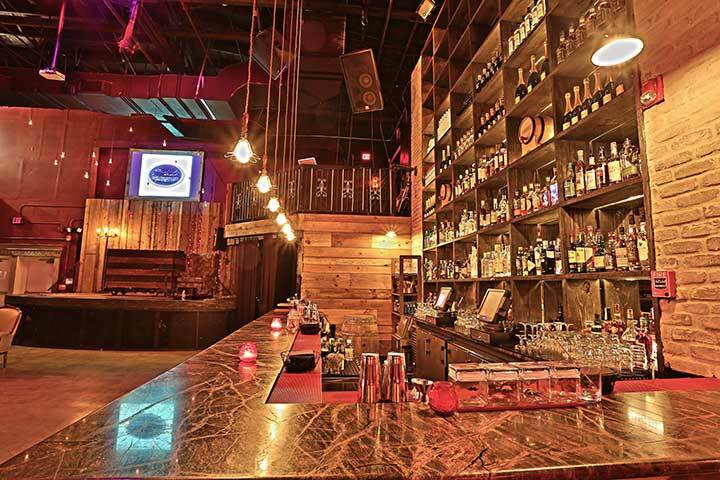 It’s a place to escape…a swanky downtown drink haven where the walls are warmed with plush tapestries and the drink menu is ﬂush with high-end potables. At Stache you’ll come to appreciate an elegant twist on boutique food and drink. We take pride in our beautifully crafted cocktails and our craft bartenders will revive your appreciation for the true art of mixology. In addition to perfectly poured cocktails, we have an impressive selection of quality craft beer and wine. And be sure to take notice of our champagnes, all of which have been expertly selected for discriminating palates. The real game changer though, is in the music. We rock a crossover format and we do it like nobody else can. We seamlessly blend Classic Rock/Funk/Soul/R&B spanning the last six decades to the newest of Indie & Electronic/Tech House orchestrate. You can count on us to play the music you like to hear and we’ll challenge you to keep up with what we know is on the brink.